Every day, the BB4CK community feeds kids in 225 schools across Calgary. Recently, a NW elementary school shared their story of the impact BB4CK has on their school community. The food and care provided to the students has a lasting impact on the lives of those touched; this is about more than a lunch. This is about taking action to care for one another in our communities. The care and compassion of the lunches extends far beyond the walls of the school. The stories from this school show the impact you make in your community when you take action to support kids. 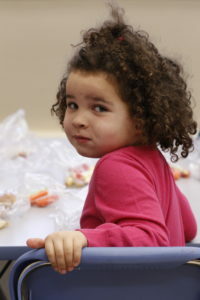 Feed kids today by visiting bb4ck.org/donate-now. “My mom had me when she was young, and my brother came 2 years after. Her and my Dad split up when I was about two and that time was really rough for my mom. 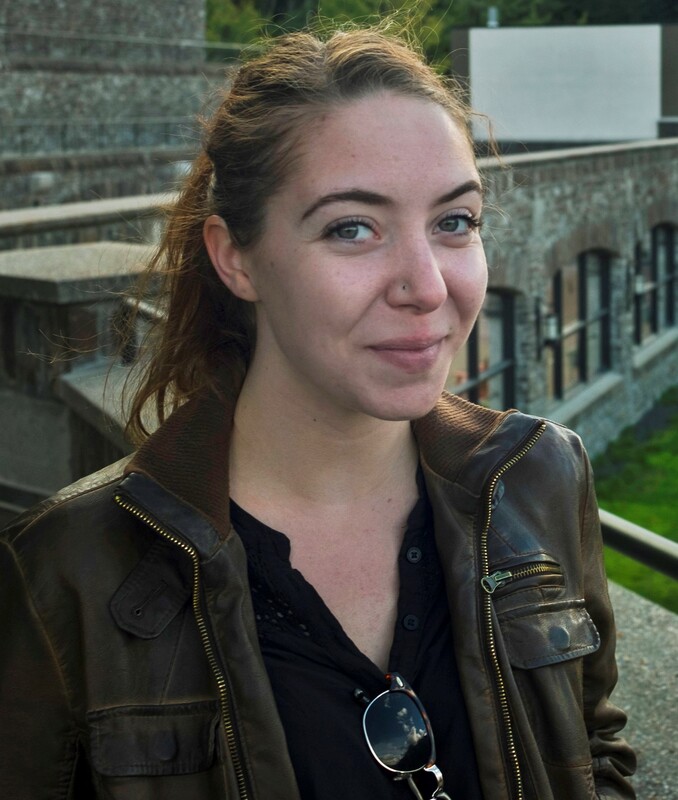 She tried her best, but began struggling with substance abuse when I was in grade 3. Many school days we wouldn’t have sufficient lunches. Some days it would be a bag of crackers and cheese, and other days we didn’t have anything to eat. It was embarrassing to go to school without lunch, when my mom did pack me lunch sometimes I wouldn’t even want to pull it out of my bag because people would look at me weird. I would wait until recess and scarf it down real quick. I would almost worry about that more than being hungry sometimes. I didn’t really have a lot of friends, I was unhealthily underweight, and I was sick all the time. The teachers stepped in and without making a big deal of it, they started giving my brother and I lunches. The teachers never made me feel different that I was a Brown Bagging kid. I remember my lunch teacher, Ms. Yang, who looked out for me. We were getting full lunches every day and sometimes she would put extra stuff in my bag for me to take home, like extra lunches or something she had brought for us herself. 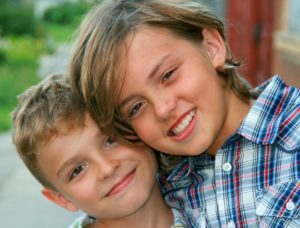 In grade 4, I was diagnosed with epilepsy. I had a big seizure in the school lunchroom and Ms. Yang was the one who found me, she took me to the office, sat with me, and made sure I was ok. Lunch was one of the things I didn’t have to worry about when I was having seizures in class or coming to school without clean clothes. Lunch was never something I had to think about twice. I didn’t feel different on that one because there were so many other kids that had Brown Bag lunches too. I lived with my Dad after grade six, I was eating more and put on weight, and I wasn’t sick all the time, my lice was gone, I was able to make friends, move forward and my life completely changed. My mom changed for the better too, she’s done so much for herself. Our relationship has improved with work, you need to be able to let go of the past instead of holding onto it. This program is not just helping the kids; it is showing the parents that you can get back up with a little bit of help. It is really important to show this act of kindness to kids. It’s not just about getting a lunch, it’s showing that there’s a whole community of people out there who are doing this because they care. 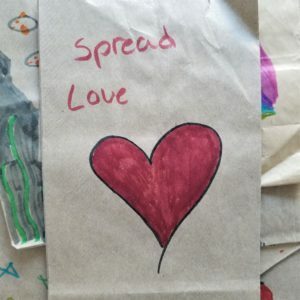 The lunches and the Brown Bagging program are not something I grew up thinking about, but now looking back, I think of how much of an impact those acts of kindness had. I can’t say if they changed me for who I am, but I choose to hold on to what those people did for me instead of what the kids were saying. I choose to hold on to the fact that people are out there that care about you. They were getting me lunches and feeding me and making sure I was going to make it ok.
As an adult now, coming out of that, I know there were a lot of people who went out of their way to do nice things for me and I’d like to give that back now. So many people need help and I can do my part. I want to help people, specifically kids, kids who don’t know how to deal with these things growing up. I’ve been an EMR [Emergency Medical Responder] for a year now and I’m working on gaining more experience, and going for my PCP [Primary Care Paramedic] in January. Donate now to feed and care for kids like Tearin. “I remember the Monday everything changed. I was 8 years old. I sat in the corner of the lunchroom, head down, trying to be invisible. My stomach hurt and my head ached. I was hungry, and a BB4CK lunch changed that. This is why I’m forever grateful for you. On this particular Monday, the lunchroom supervisor, Mrs. Porter noticed me. She saw that none of the other kids were talking to me. She watched as everyone dug into their lunch – everyone except me. She looked at me sitting alone in the corner, trying to ignore everyone else eating. She knew I was craving their food, and also, their friendship. I was hungry and lonely and wishing one of the other kids would share their lunch with me. I was the only kid in my class without a lunch. I was also the only one with shoes one size too small, and a torn and tattered backpack. I was different – and different meant I had no friends. That is, until Mrs. Porter noticed me. I don’t know much about her, but that day, in my 3rd grade mind, Mrs. Porter was a superhero. This was just another Monday with nothing to eat. Sitting in the corner, I was counting down the minutes until I could go back to my classroom. Then, a voice, “Is your name Jennifer?” I looked up and into the eyes of Mrs. Porter. She gave me a small smile and held out a sandwich in a plastic bag. “Would you like an egg salad sandwich?” she offered. My eyes must have said it all, because before I squeaked out “Yes”, she had placed it in my hands. It was the best sandwich I had ever eaten – and with it came a couple carrots, some apple slices, and a homemade cheese biscuit. Every day after that, when I walked into the lunchroom, Mrs. Porter was waiting for me with a lunch and a kind word. I noticed that other kids sometimes got a lunch from Mrs. Porter too. One day, Mrs. Porter asked if I’d like to sit with her and Alina. Mrs. Porter asked about our days, our school work, and our families, while Alina and I ate our egg salad sandwiches together. I was no longer hungry, and I had made a new friend. That’s why I’m grateful for you and BB4CK. The lunch that Mrs. Porter gave me every day came from BB4CK. She told me that each lunch was made by someone who cared for me and wanted me to succeed. That lunch was more than just a sandwich to me. That lunch gave me a sense of belonging and a full stomach. You’ve probably noticed the cost of your groceries going up in the last year, especially the prices of your favourite fruits and vegetables. We’ve all felt the impact of those changes – Kerry’s family is no different. Kerry is a mom of two – Jonah, who’s in grade 4, and Sam, grade 6. Kerry is now paying more each month for the same groceries she’s always bought, and that her kids love to eat. Earlier this year, Kerry lost her job and after a few months of searching found a new one – but the salary was much lower and she had depleted a good portion of her savings. With this salary, Kerry’s cut back on a lot of expenses, which has been hard – and one of those cuts was to her grocery budget. She’s still able to send a sandwich to school for her kids, but most days, that’s it. Kerry constantly worries about what the future holds for her family and the possibility that car trouble, home maintenance, or some other financial emergency will wipe her entire budget out. Jonah and Sam’s school cares for their family by providing fresh fruits and vegetables at school, provided by the BB4CK community. We know the value of ensuring that lunches for kids who would otherwise go without have lots of nutritious, filling food. When they get to school, Jonah and Sam eat the sandwich their Mom, Kerry, made with love at home, alongside the bright orange carrots, crunchy apples and juicy oranges people like you provided for them. These foods are so important for kids whose families, like Kerry’s, are struggling to make ends meet. The number of kids in need of lunches at school in Calgary has risen, alongside food prices, in the past few years. 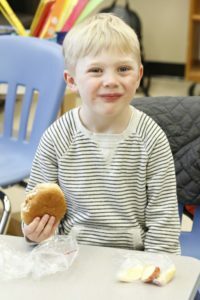 Today, there are more than twice as many children in need of healthy lunches or fresh lunch items at school each day than there were three years ago – and the BB4CK community works to respond to the needs of these kids each day. This school year, the average lunch BB4CK provides to a hungry kid in our city will cost $2 to make and deliver. Rising food costs and a growing organization have contributed to this. 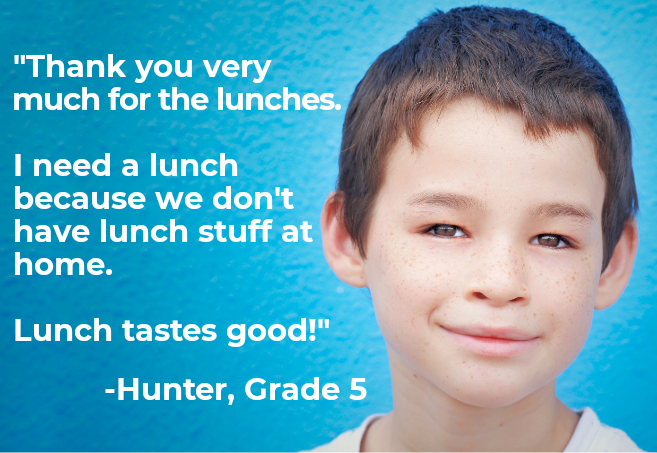 We’re extremely proud to be able to provide a healthy, filling lunch for just $2 – ensuring we continue to feed and care for hungry Calgary kids. Together, we will meet the goal of having no hungry kids at school this year. Have you ever been hungry? Genuinely hungry – the kind of hungry where your stomach growls, then starts to feel empty and hollow? The kind of hungry where you know you’re hungry, but your stomach is past the point of hurting? So hungry that all your thoughts center on food, what you could eat, and where you could get it? Every day, 4,200 kids walk through the doors of Calgary schools without enough food in their backpacks or money to buy lunch. Some students bring no food at all, while others bring a granola bar for lunch, or a piece of bread with margarine on it to get them through the day. The short term and long term effects of hunger for children are clear. These kids experience lower grades in school, fewer friendships, behavioural challenges, and mental health concerns. A student who doesn’t have lunch can miss out on one of the most valuable social experiences of school by not enjoying a meal in the cafeteria with all their friends. Being the only kid at the table without food does not feel good, so kids most often avoid it and miss the opportunity to develop friendships and healthy social skills. Instead, these students may be found hiding in a stairwell or bathroom until their friends finish eating. Hunger often equals a lack of adequate nutrition, impacting the ability of children to develop to be as healthy as possible. Teachers share stories about students who are exhausted, lethargic, unable to join in recess games or during gym class – all because they are not getting the food they need to power their growing bodies. Parents are doing the very best they can with the resources they have to raise healthy and happy kids. They do not wake up in the morning with the intention of their children going hungry. When a parent isn’t able to send their child to school with a healthy lunch, this can cause great stress and distress. There are hundreds of reasons that families find themselves in these situations, from layoffs to illness. No two stories are exactly alike, although there is a common thread – most families never dreamt they’d have to wonder about where their next meal is coming from. The reality of hunger is not easy. It is painful. It is isolating. It is overwhelming and crushing, and it impacts every moment of every day for someone who is experiencing it. The reality of hunger is that it hurts, and that the solution is simple. The solution to hunger is food. Every school day, the BB4CK community comes together to make and deliver lunches for kids who would otherwise go without. Ensuring that kids have the food they need to satisfy their hunger, to fill their stomachs and fuel their bodies, is a simple solution that our community provides every school day. That’s where you come in. You can feed these kids. Donate today to help ensure no kids in our city ever have to go hungry at school. Alaimo, Katherine, Christine M. Olson, Edward A. Frongillo. 2002. “Community and International Nutrition Family Food Insufficiency, but Not Low Family Income , Is Positively Associated with Dysthymia and Suicide Symptoms in Adolescents.” Journal of Nutrition. 132:719–25. Kleinman, Ronald E. J. Michael Murphey, Michelle Little, Maria Pagano, Cheryl A. Wehler, Kenneth Regal, Michael S. Jellinek. 1998. “Hunger in Children in the United Steates: Potential Behavioral and Emotional Correlates.” 101(1). Kleinman, R. E., S. Hall, H. Green, D. Korzec-Ramirez, K. Patton, M. Pagano, J.M. Murphey. 2002. “Diet, Breakfast, and Academic Performance in Children.” Annals of nutrition & metabolism 46(0 1):24–30. McIntyre, Lynn, Jeanne V. A. Williams, Dina H. Lavorato, Scott Patten. 2013. “Depression and Suicide Ideation in Late Adolescence and Early Adulthood Are an Outcome of Child Hunger.” Journal of Affective Disorders 150(1):123–29. Retrieved (http://dx.doi.org/10.1016/j.jad.2012.11.029). Sophie is one of the kids who you buy lunch for. 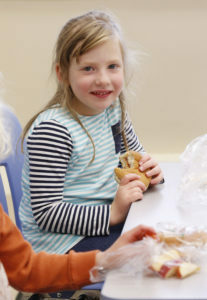 Sophie now receives lunch every day from the BB4CK Kitchen, made and delivered by a volunteer. Sophie is 9 years old. She’s small for her age, the smallest in her class, and has long blonde hair. She’s a great reader, and struggles a little bit in math. Sophie’s favourite game at recess is tag. Last Tuesday, before Sophie walked to school, she opened the fridge one last time – hoping to see more than the wrinkled apple she’d shoved in her bag earlier. It was empty. As she walked through the school doors, her friends yelling around her, Sophie tried to ignore the hunger pangs. Outside for morning recess, everyone played tag – but Sophie sat on the grass, watching. She was too tired to play today, having not eaten since lunch yesterday. It might surprise you that Sophie could be hungry at a school in Calgary – but it’s true. The truth is, there are thousands of hungry kids right here in our city. Every day, 4,200 kids in Calgary go to school without a healthy lunch. With your help, every one of them will continue to get the food they need, made by a volunteer and delivered right to their school. You can help feed them by making a donation right now. The food that Sophie ate that day, and will eat every day that she needs it, will be purchased with money from donors like you. Your gift will be used by volunteers to make healthy lunches and to fill Sophie’s stomach. In fact, your support will ensure healthy lunches are available at school for Sophie any time she needs it. She’ll get that food from a teacher she trusts, and it will have the energy to focus and learn with a full stomach. Will you help feed Sophie and other kids like her? You will make sure she has the healthy, filling lunch she needs to learn, grow and play – like every 3rd grader should be able to. $1 helps provide a healthy lunch for a hungry child. Any donation you make will help. Please click here to make a gift and feed hungry kids today. “I have been a teacher for 21 years, teaching Kindergarten to Grade 6. There have always been tough times for my students and their families, but I have always been fortunate to have resources available to meet the immediate needs. Life has changed a lot in those 21 years, and I unfortunately witnessed one of the hardest moments ever in my teaching career. I didn’t know what to say. How do you express to a mom that you understand when you have no idea what it is like not to be able to feed your children? I told her to trust me, that I would get food for her boys to eat at school tomorrow, and we would have food to send home for them too. Not knowing her well as it was only the first month of school, I hoped she could see my sincerity and concern and know I would not let her down. She hesitantly agreed. I put out an all call to our staff asking for an overnight food drive for this family. My next step was contacting Brown Bagging for Calgary’s Kids to make sure this never happened again. They immediately responded and within a few short days, had food arriving at our school for students in need. The behaviour of this particular student changed dramatically within two days! He went from a boy who could not focus and cried every day to a boy who was smiling, playing with friends, and getting work done! Every day he knew he could go upstairs to get food and never had to be hungry again. His mom contacted me about a week after Brown Bagging for Calgary’s Kids started at our school, thanking me for making sure her boys were never hungry. I later found out that their mom was not eating at all in order for her three boys at home to have enough food. It was only when she literally ran out of all food sources did she finally admit that she could not feed her family. I’m so thankful that she found the courage to ask for help and the bravery to accept the help. “I have worked with the Calgary Board of Education for 37 years. 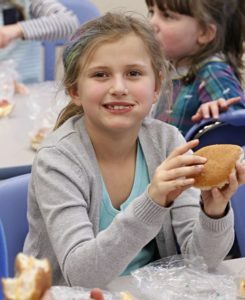 It is only since Brown Bagging for Calgary’s Kids began that I have witnessed the amazing change in students of all ages from a simple thing like a sandwich and a snack. There have been students hiding at lunch so nobody sees they don’t have any food; students not attend school because they have no food for snack or lunch; students (many) who steal food from other students’ backpacks when they are pretending to go to the washroom (comes down to basic survival); students who have taken food off of teacher’s desks; many students who go home knowing they will not have anything to eat until they come back to school the next day; the list could go on and on. I had a family that the kids had to take turns eating…whoever got a lunch did not get supper, then the next day it was the other child’s turn to have lunch, but not supper, because he had supper the day before. It is so heartbreaking to actually be with these kids, see their tears, and you try to do anything you can to change their life. On the other side of the coin… I have had mothers come to me so thankful for feeding their children (I always tell them the story of Brown Bagging and the volunteers). I would tell them that one day they would be able to help someone in need, all they have to do is pay it forward when they were able to. They always responded that they definitely would. A lunch changes more than a hungry tummy. I have seen such changes; previous students become the mothers of present students and they always comment on what a difference the lunches made to them and how the lunches made them feel. Many have told me they donate to the food banks because they were looked after when they were hungry. I would suggest they donate to Brown Bagging as well. This is one way we change society for the better. Once we were able to look after their basic need of food, we began to see the change that it made in these children. The stealing stopped; the students started coming to school regularly; students who would hide and not speak to anyone transformed into well-adjusted students that socialized with other students, talked to the adults in the building, and began learning!! Teachers could not believe the difference they saw in the classroom. Food is one of our basic needs of life and without it, there is no learning, no socialization, and it affects the confidence of students because they feel they do not fit in – they see all the other children at lunch, happy, sitting with their friends and excited about what they have in their lunch kit. A student without any food would never put themselves in a position to be in the lunchroom around those happy students eating lunches. “Our students know if they don’t have a lunch, forget a lunch, don’t have enough to eat, etc… they can approach our lunch room supervisors and get something to eat. 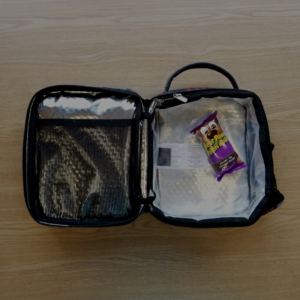 This takes pressure off a student who might be embarrassed to ask, because the students know its okay to access the sandwiches – that is what they are there for! 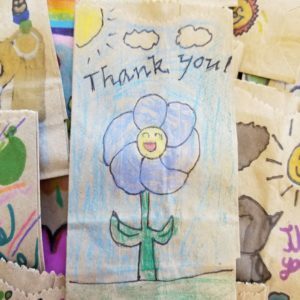 Brown Bagging provides food for some students who might otherwise have nothing to eat, the students are grateful. They are able to go back to class in the afternoon and concentrate better.